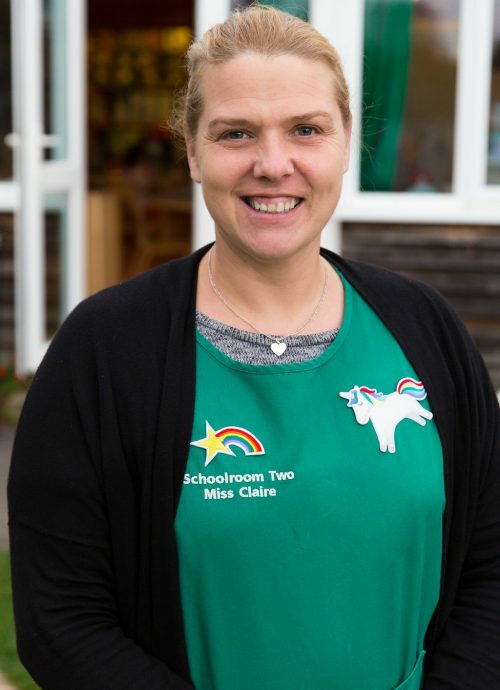 At Schoolroom Two we are very fortunate to have a lovely team of professional, experienced, mature teaching and extra curricular support staff. All have children of their own so understand children from a professional and personal perspective. 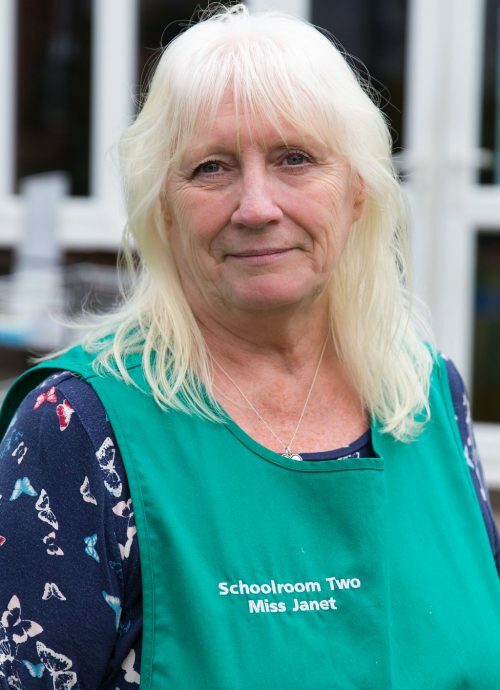 Janet Jakeman (known as Miss Janet), has worked in the nursery sector for over 42 years and owned Schoolroom Two for 27 years. Janet trained in the Montessori Method and holds a Montessori Diploma. Janet is a loving, dedicated, inspiring leader who is passionate about the Nursery, Montessori methods and the individual development and welfare of every one of the children in her care. Janet not only owns the nursery but teaches there every day. Miss Claire is our creative guru. Miss Claire brings wonderful creative ideas into school. She helps to get the classroom ready and prepares resources for displays of the children’s artwork. Miss Claire is qualified in Supporting Teaching and Learning in Schools and she is fun loving with a great sense of humour. Miss Claire has two boys, both of who came to Schoolroom Two when they were little. Miss Claire joined SR2 in Sept 2014. Miss Tanya is a hardworking, reliable member of our team. She has lots of experience working in an after schools club. Miss Tanya is patient and caring and very good at supporting individual children in their learning. Miss Tanya has three girls. She holds a Level 2 Paediatric Emergency First Aid Certificate and a certificate for Safeguarding Children.Miss Tanya joined SR2 in Jan 2014. Miss Geraldine lives locally and her daughter Chloe attended Schoolroom Two. Geraldine has been a nanny for the past 10 years having trained and passed NNEB(National Nursery Examination Board) diploma in 1994. 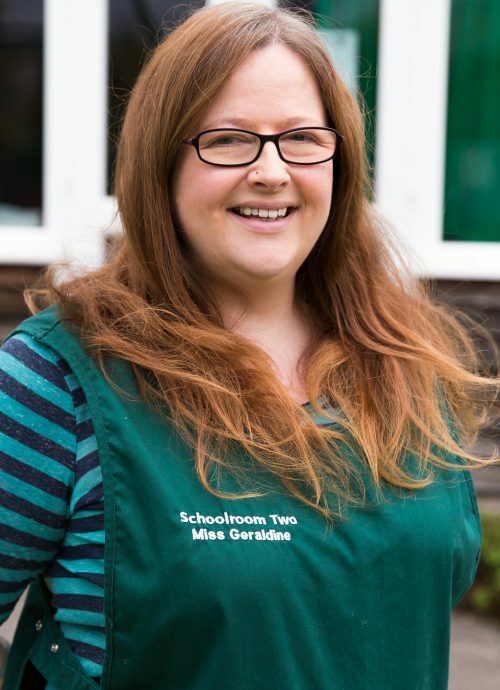 Miss Geraldine joined SR2 in Sept 2017. Miss Lilly Rose is an apprentice. 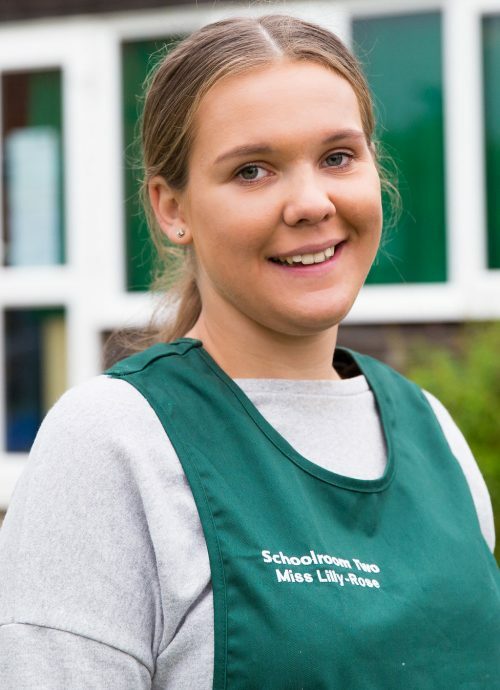 She is very excited about joining SR2 for her training and has already shown she has the qualities to become a successful nursery worker. Miss Lilly Rose joined SR2 in Oct 2017.